What is Citizens Trade Campaign CTC ? The Citizens Trade Campaign (CTC) is a national coalition of environmental, labor, consumer, family farm, religious, and other civil society groups founded in 1992 to improve the North American Free Trade Agreement (NAFTA). We are united in a common belief that international trade and investment are not ends unto themselves, but instead must be viewed as a means for achieving other societal goals such as economic justice, human rights, healthy communities, and a sound environment. The rules which govern the global economy must reflect the views and needs of the majority of the world’s people on issues such as jobs, wages, the environment, human rights, food and consumer safety, access to essential services, and public health. CTC is a leading advocacy vehicle in the fight for international trade policy to better serve the interests of a majority of people, rather than the agenda of multinational corporations. We need a more balanced way to expand trade. Click here to join CTC Cause on Facebook. To receive regular trade updates over email, click here. Domestic environmental, labor, health, food security, and other public interest standards and policies must not be undermined. The provision and regulation of public services such as education, healthcare, transportation, energy, water, and other utilities is a basic function of democratic government and must not be undermined. Raising standards in developing countries requires additional assistance and respect for diversity of policies and priorities. Trade is no substitute for aid. Countries must be allowed to design and implement policies to sustain family farms and achieve food security. Healthy national economies are essential to a healthy global economy. The right of Governments to pursue policies to maintain and create jobs must be upheld. The right of state and local governments to create and enforce diverse policies must be safeguarded from imposed standardization. Rules for the global economy must be developed and implemented democratically and with transparency and accountability. At both the national and local levels, CTC facilitates the formation of cross-sectoral coalitions in which diverse interests can come together to share strategy, coordinate advocacy efforts, and promote an alternative vision to the neoliberal model of globalization. 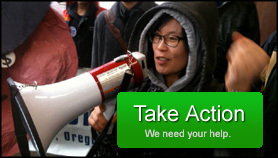 CTC provides national and local organizations, grassroots trade activists, and ordinary citizens across the U.S. an effective means to have their voices heard in Congress while working at the local level to unify those voices, educate the public and press, and hold elected officials accountable to their constituencies at home. On a national level, CTC spearheads lobbying efforts in support of just trade policy. Coordinating efforts of member organizations and allies on Capitol Hill, and local activists in Congressional districts, we educate Members of Congress and hold them accountable for their trade votes. We have made trade agreements some of the most scrutinized votes in Congress. 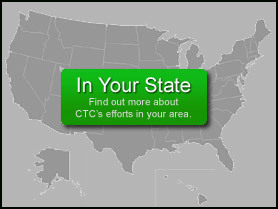 CTC mobilizes organizations and individuals to participate in key public trade actions. CTC played a significant role in the peaceful demonstrations and educational events at the 1999 World Trade Organization meeting in Seattle and the 2003 Mobilization to Stop the FTAA in Miami. CTC educates Members of Congress, the media, and the public about the negative effects of free trade policy and the corporate-managed trade model. We strive to expand the debate beyond labor and the environment to include the increasingly diverse issues that international trade encompasses. CTC works to put forth a vision for international trade rules. In 1998 we helped craft a progressive trade bill for sub-Saharan Africa that serves as a model for pro-environment, pro-consumer, and pro-worker trade legislation, and we continue to define a standard for trade agreements. CTC supports the establishment and growth of state fair trade coalitions across the country and facilitates opportunities for local activists to share strategies and experiences with activists in other areas. 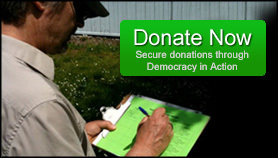 We provide legislative information, press materials, current research and reports, tactical and financial assistance, and general organizing know-how to a far-reaching network of paid and volunteer activists and coalitions.